* some locations WHERE these have been examined, or are kept. I shall not attempt here to repeat the full story of any of these. More copious information is available in my various books on ancient technology. Two of these books are Dead Men’s Secrets (which also contains more pictures not included here) and 64 Secrets Ahead of Us. Locations of the artefacts are in red. 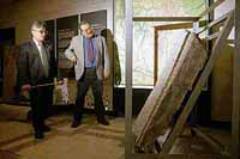 Scientists of Bashkir State University have been examining a large plate found in 1999, with a civil engineering works map of South Ural. The map contains civil engineering works: a system of canals with a length of about 12,000 kilometres, weirs, and gigantic dams. This is not a simple map, but a three-dimensional. Scientists have stated that this could be worked out only by means of an aerial survey. It is obvious that the stone was MACHINED. Currently, in the United States, work is being carried out on creating a global three-dimensional map like that. However, the work is not expected to be completed before 2010. One of the scientists who has conducted examinations on one of the 3-dimensional maps is Alexander Chuvyrov, the doctor of physical and mathematical science, at Bashkir State University, Russia. Other portions of the map, comprising hundreds of stone slabs are to be found not far from the Chandar village, Nurimanov Region, in Russia’s Ural Mountain region. In 1990, whilst searching for exhibits for a Munich museum, Dr Karl-Heinz Wilms first heard of the "Visby" lens. The lense was named after the major town in Gotland. Finding a picture of the lens in a book, Dr Wilms was keen to examine the original. However, not until 1997 did a team of three scientists go to Gotland to take a close look at this ancient lense. To their great joy, there were actually 10 lenses - all locked away in the storeroom of a local museum. These crystals proved that sophisticated lens-making techniques were being used by craftsmen over a 1,000 years ago. There were hints that these lenses may have been manufactured in the ancient empire of Byzantium or somewhere in eastern Europe. Some of these lenses can be seen at Gotland's Fornsal, Visby, Sweden (this is the historical museum in that town). Some others reside in the Swedish National Museum in Stockholm. And some others have been lost. 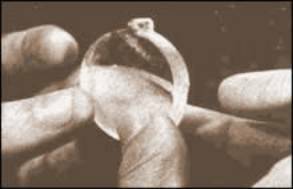 What is known as the Nimrud lens was found in 1850 by the British archaeologist Sir John Layard, during his excavation of the palace of Nimrud, an ancient Assyrian city in what is now Iraq. This rock crystal lens is currently on show in the British museum. Other crystal lenses, which date from the 4th Dynasty of Old Kingdom Egypt, c.2200 BC. can be found in the Cairo Museum. There are also two others in the Louvre in Paris. 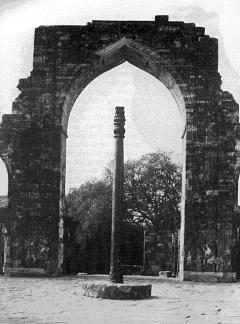 The Ashoka Pillar is a non-rusting iron pillar to be found in India. This is a column of cast iron which weighs about six tons and stands 23 feet eight inches high. Its diameter is 16 inches. The iron pillar should have rusted away by now, but there is hardly a trace of rust. This is pure iron, which can be produced today only in tiny quantities and by electrolysis. On December 1, 1993, a workman's spade broke through the roof of a long buried and forgotten tomb. At the time, a project was under way to build a sports field for the Jingyi Middle school of Yix-ing City in the Jiang-su Province of China. When police who were called in recognised the find as a tomb, they in turn called for the Huadong Historical Relics Working Team. They eventually identified the tomb as the burial site of Chou Chou, a famous general of the Chin dynasty, who lived from 265-316 AD. Among items found in the tomb were pieces of pottery pieces, porcelain, scraps of gold and a metal belt fastener. 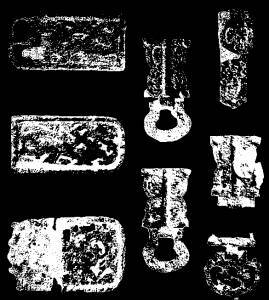 The fastener, which was found to be of aluminium, was thoroughly examined by the Dunbai Polytechnic, as well as by the Institute of Applied Physics of the Chinese Academy of Sciences. Aluminium was supposedly not discovered until 1803 and not obtained successfully in pure form until 1854. It is very difficult to isolate, from bauxite, as a pure metal, without using a lot of electric power. This 2,000 year old complex computer reveals first-class precision mechanics, as accurate as any that can be made today. It was used for navigation. It is now in the National Archaeological Museum of Greece. Their designs indicate a sophisticated understanding of heat-exchange technology. Now in the Crespi Museum in Cuenca, Ecuador. Mechanical corn mills, wheeled and geared. An ancient clay vessel portrays a man using the index fingers of both hands to operate a kind of calculating machine, or a switchboard. In the private collection of Senor Gerardo Niemann, Hacienda Casa Grande, Trujillo, Peru. Each is carved from a solid block of crystal. They possess eye sockets with ground lenses. Light is engeniously channelled from the base of the skull by means of “light pipes”, then concentrated through a set of concave and convex lenses, which focus the light rays directly into the excavated eye sockets – evidence of an advanced understanding of the use of light. A large number of genuine, high quality ancient crystal skulls have been found. ancient crystal skulls were discovered of recent times in the Himalayas. The so-called Paris Skull is on display at times in the Trocadero Museum in Paris, France. These are the exact counterparts of the basic tools of modern surgery – forceps, scalpels, clamps, and so on.. In the Cairo Museum and British Museum. What is known as the Baghdad Battery was found in the ruins of a Parthian village believed to date back to between 248 B.C. and 226 A.D. Inside a 5-1/2-inch high clay vessel was a copper cylinder fixed in place by asphalt. And inside the cylinder was an oxidized iron rod. According to experts, the device needed only to be filled with an acid or alkaline liquid to produce an electric charge. this ancient battery may have been used for electroplating objects with gold. At least one of of these batteries was in the State Museum in Baghdad, Iraq, until the museum was plundered by local Iraqis during the 2003 war in Iraq. Document on how to construct an electric battery, and how to use it for electrolysis. Known as the Agasta Samhita”, this ancient document is preserved in the Princes’ Library in Ujjain, India. Microscopically tiny spiral-shaped artefacts made from copper, tungsten and molybdenum, have been unearthed in Russia’s eastern Ural Mountains and studied by four scientific institutions – the Russian Academy of Science in Moscow, Syktyvkar, and St. Petersburg, as well as the Helsinki Institute in Finland. They bear remarkable resemblances to control elements used in our latest technology “nano-machines”. The investigative report, from the Central Scientific Research Department of Geology and Exploitation of Precious Metals (in Moscow), dated November 11, 1996, was written and signed by Dr E.W. 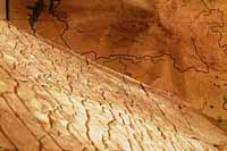 Matvejeva, have been dated at thousands of years of age, and declared to be of ‘technological origin”.. Some of them were given by the discoverer, Chi Pu Tei, a professor of archaeology at Beijing University, to the University and kept there for 20 years, from 1942 to 1962. Present whereabouts: uncertain (may still be at Beijing University). An Austrian engineer, Mr. Wegerer, had the opportunity to make these photographs in 1974, when he was on a guided China tour. 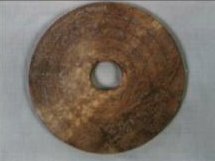 In Banpo-Museaum in Xian, the capital of the Province of Shensi, China, he came across two discs which exactly met the descriptions we know from the Bayan-Kara-Ula report from 1962. And he could even recognize hieroglyphs in spiral-like grooves, although they were partly crumbled way. 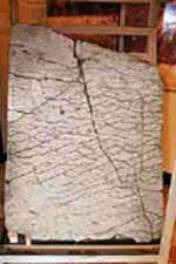 “In March, 1994, Professor Wang Zhijun, Director of the Banpo-Museum, welcomed us for a discussion on the stone disc. At first, he wasn't willing to give us further details, but after a while he revealed shocking information. ”His predecessor, the above-mentioned manager, was called away from her job just a few days after Mr Wegerer had visited the museum, without giving her any reason. She’s vanished since that, and both from her and the two stone disks, any trace is missing! Numerous ancient Indian and Chinese texts speak of aircraft and of advanced techniques that if used today could revolutionise transport..
One excellent example is the 3,000 year old Vymanika Shastra, meaning “The Science of Aeronautics”. It has been translated by G.R. Josyer, director of the International Academy of Sanskrit research in Mysore, India. The translation, “Aeronautics, a Manuscript From the Prehistoric Past”, was published in book form by Coronation press, Mysore, in 1973. In 1898 a small 6 inch model plane, with fuselage, wings and tail, was discovered in a tomb near Saqqara, Egypt, It was dated to approximately 200 BC. The model was sent to the Cairo Museum of Antiquities. Here it was catalogued as Special register No. 6347 Room 22, and then it was promptly forgotten. 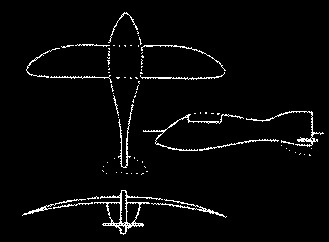 At the time of its discovery, modern aviation did not exist. Rediscovered in the museum’s storerooms in 1969, it was found to fly perfectly as a glider, though there are indications it may have originally possessed a propulsion mechanism at the tail. The design is highly sophisticated. It has been claimed that the Egyptians never made a model of anything unless it was used in real life. At least 14 other model aircraft have been found in Egyptian tombs. Ancient models resembling modern jet planes have been discovered in tombs in Costa Rica, Venezuela and Colombia. They possess delta wings, engine housing, a cockpit, windshield, flanged tail and elevators. These models have passed aerodynamic tests. Some have two sets of wings. These are displayed in the Field Museum of Natural History (Chicago), the Museum of Primitive Art (New York), the Smithsonian Museum of Natural History (Washington, D.C.) and in Bogota, Colombia. Now stored in a shed on the side porch of the church of Maria Auxiliadora in Cuenca, Ecuador. This collection is enshrined as a national monument by the Ecuadorian government. Dead Men’s Secrets (with more pictures) and 64 Secrets Ahead of Us.